I can’t lie, when the weather gets warm, I love a delicious no bake dessert. No oven to turn on and heat up the house, no difficult recipe to follow, just something sweet and simple. I have also found that these easy desserts that don’t require any baking are always a crowd pleaser. 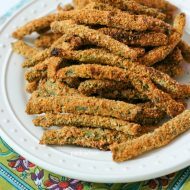 They are perfect for picnics, parties, and barbecues in the backyard. You guys are going to love all of these incredible recipes for summer! Are you drooling yet? Get ready for summer and the lazy days ahead! 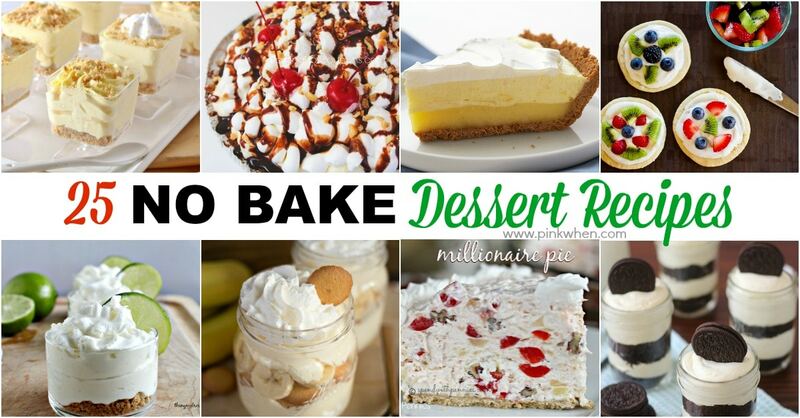 It’s one of my favorite reasons why I like to make these no bake desserts. You don’t have to use your oven! They are super simple, and they are also great to make with the kiddos while they are home for Summer or just on school break. 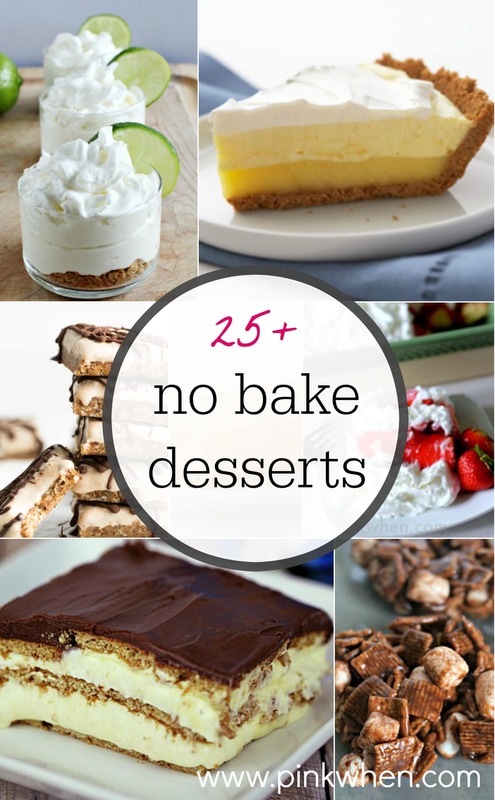 You won’t find a better list than these awesome 25 no bake dessert ideas. 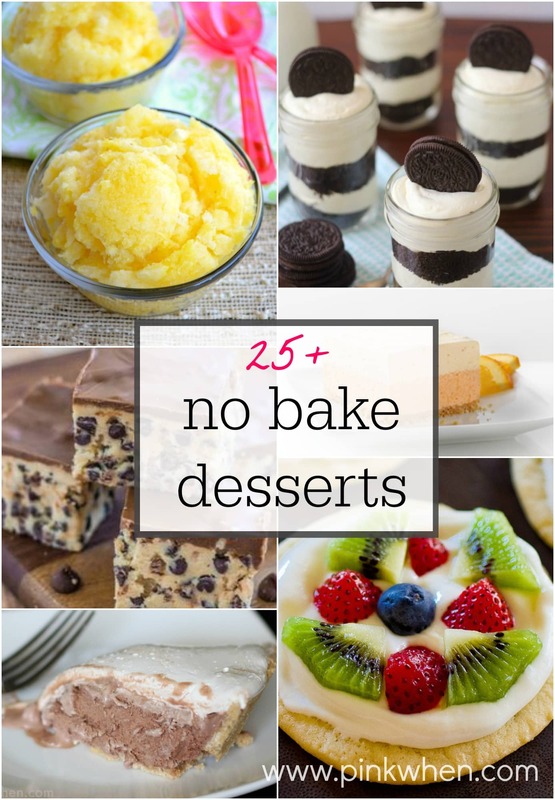 Grab your pen and pencil, better yet, get ready to pin this amazing list of no bake desserts. You might also like this like of 10 Spring dessert ideas, 30 sensational Strawberry recipes, or this strawberry and nutella cobbler. 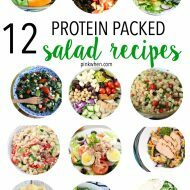 Can you believe how incredible and how easy these recipe ideas are? 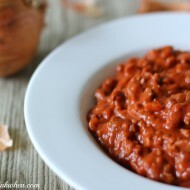 Enjoy this warm weather and all the extra time you’ll have not slaving away in the kitchen!